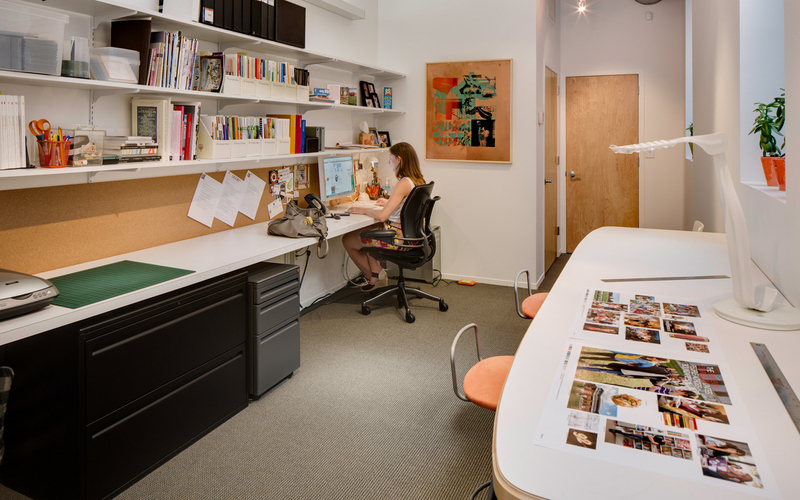 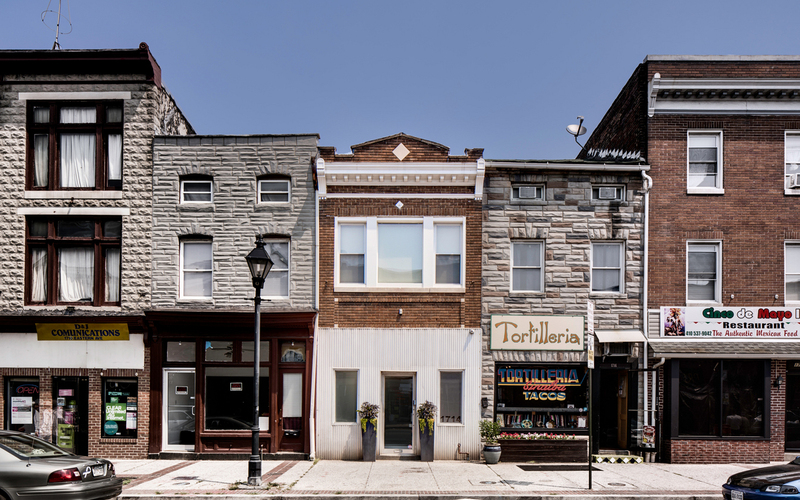 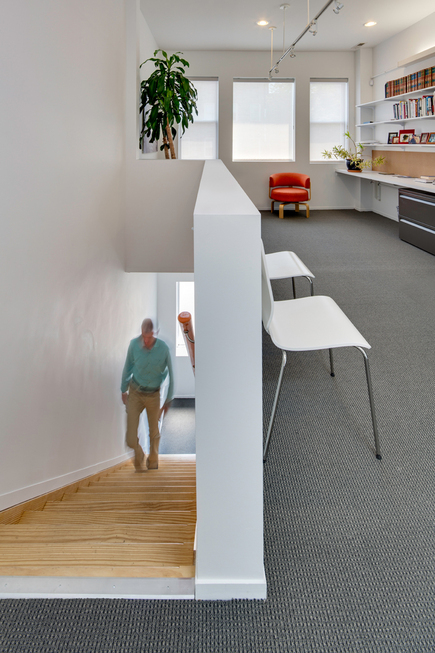 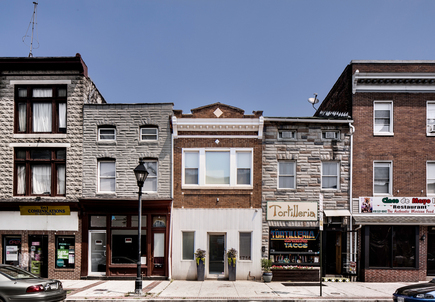 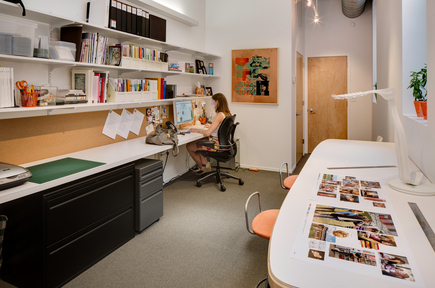 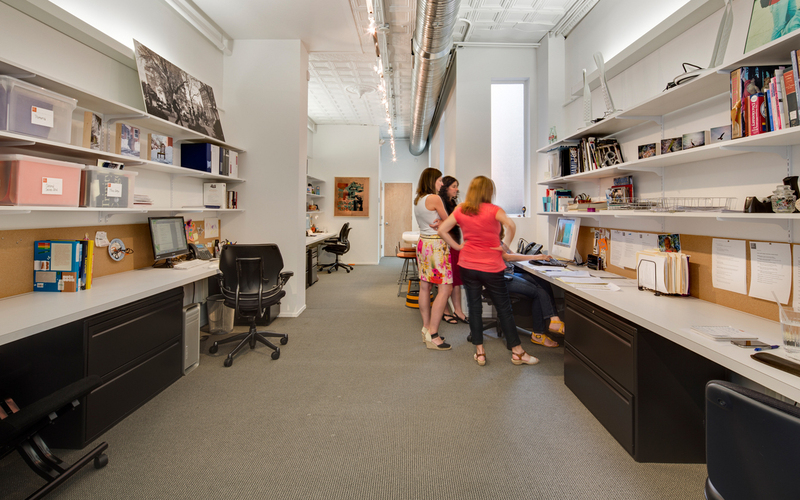 Neustadt Creative Marketing, a creative branding agency, challenged Ziger/Snead Architects to transform a neglected Fells Point rowhome into a progressive and collaborative office space within a tight budget. 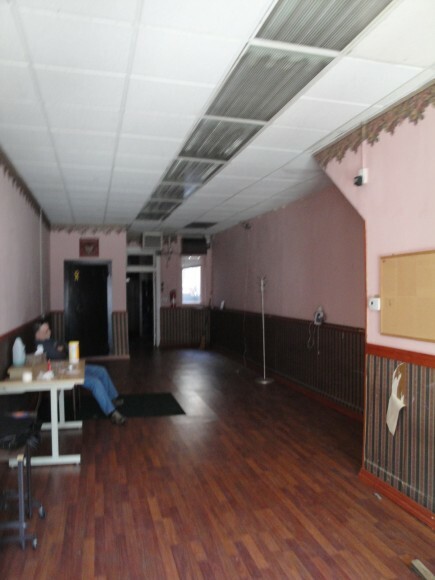 The building had most recently been home to a bank on the first floor with an apartment above. 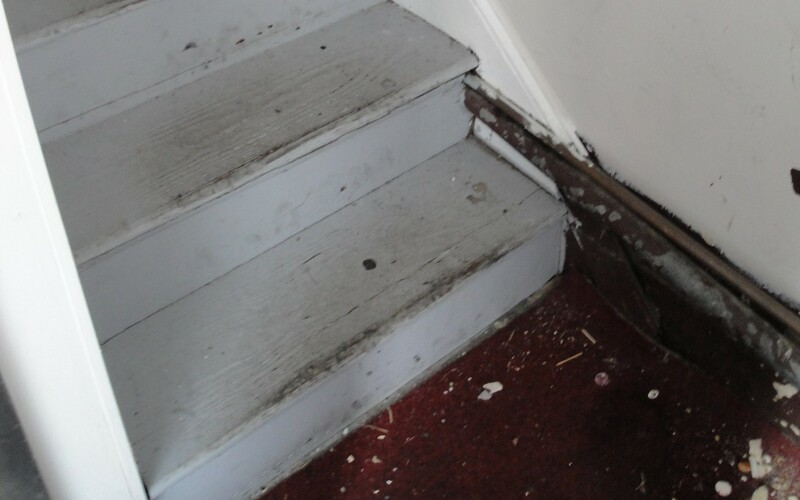 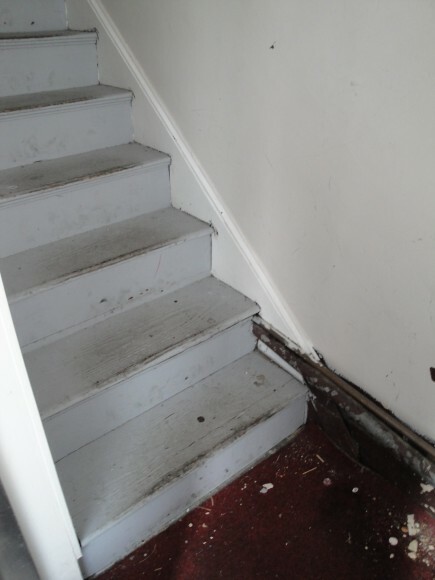 Poor maintenance and years of multiple tenants left the interiors dark and disconnected. 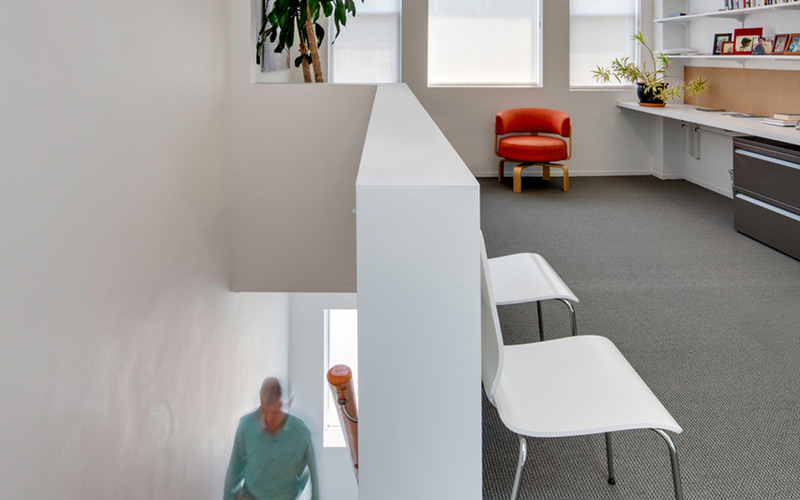 Finding the charm beneath the neglect, the design opens the space with a two-story opening – allowing for open communication between the offices upstairs and the studio downstairs. 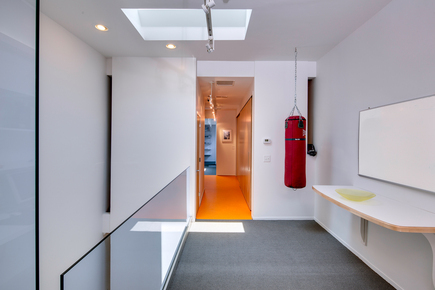 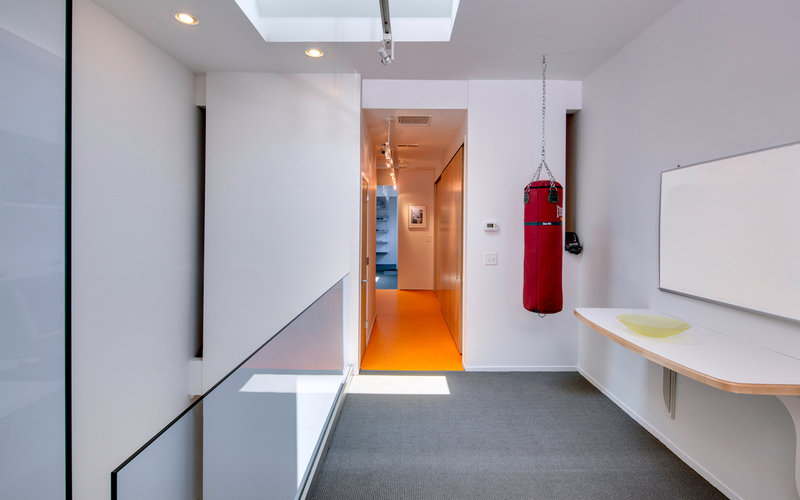 Natural light fills the space from a new skylight, positioned to bounce light off of the two story white wall. 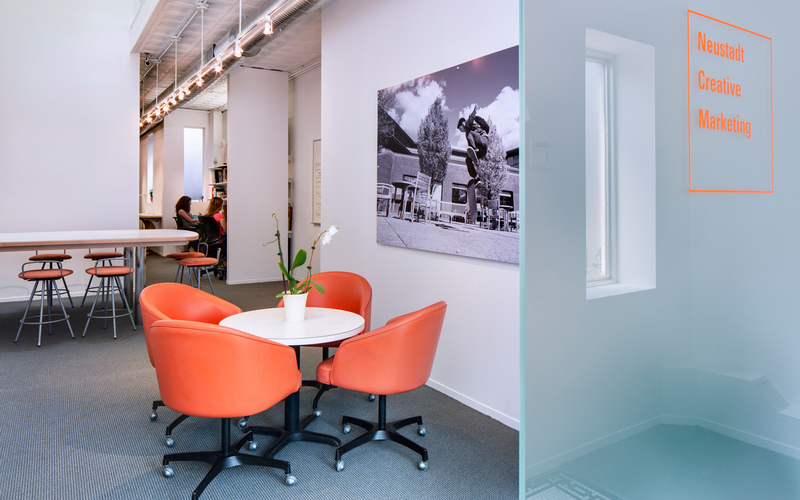 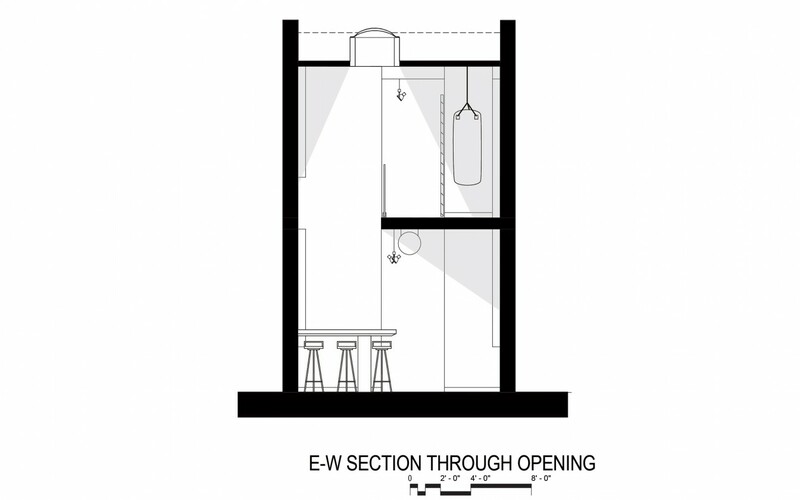 There’s an element of surprise upon entering the space once moving past the frosted glass screen inside the entry – the only indication of the business. 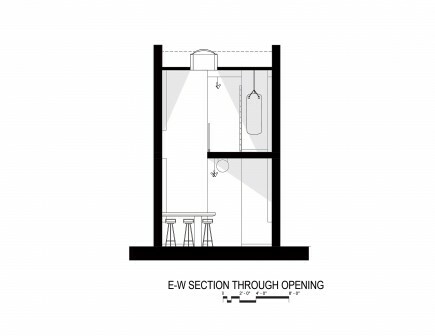 The clean and contemporary design contrasts against the exposed character of the original building and systems. 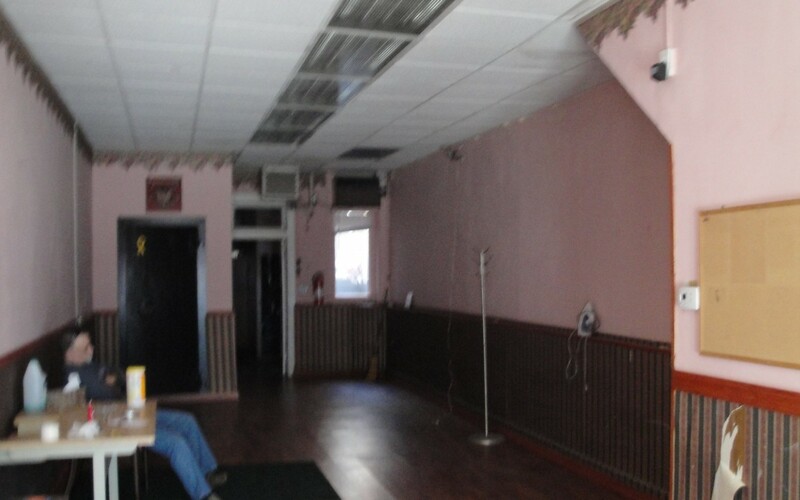 The ornamental tin ceiling is revealed and the corrugated metal storefront and glass door was left intact. 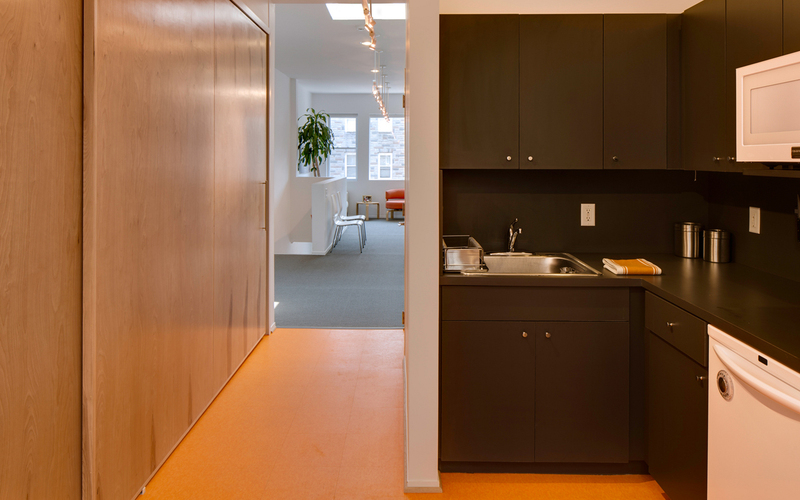 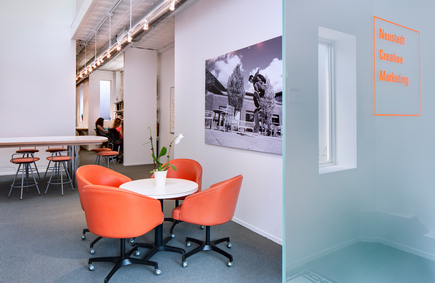 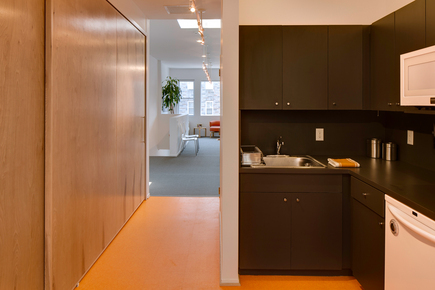 The company’s brand is thoughtfully integrated with pops of orange seating and a bold orange floor in the kitchen. 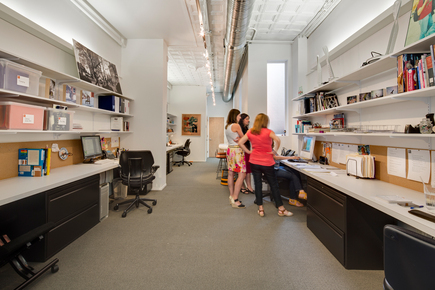 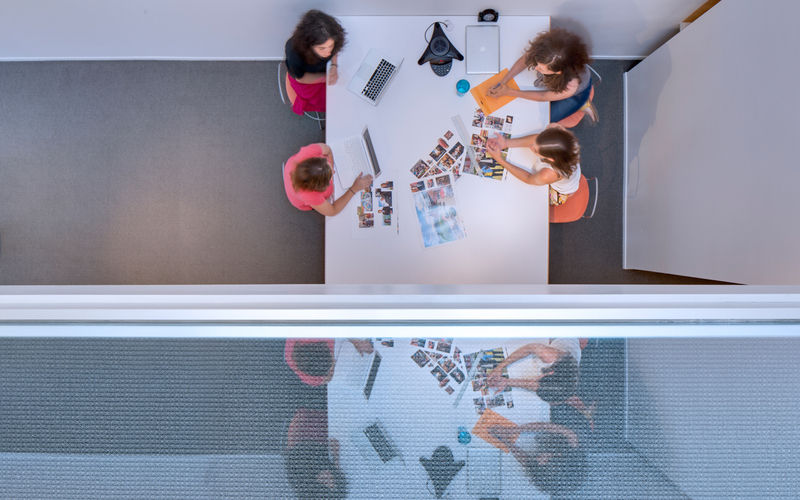 For the small creative team, the space provides the room and flexibility they need to be productive independently as well as collaboratively.